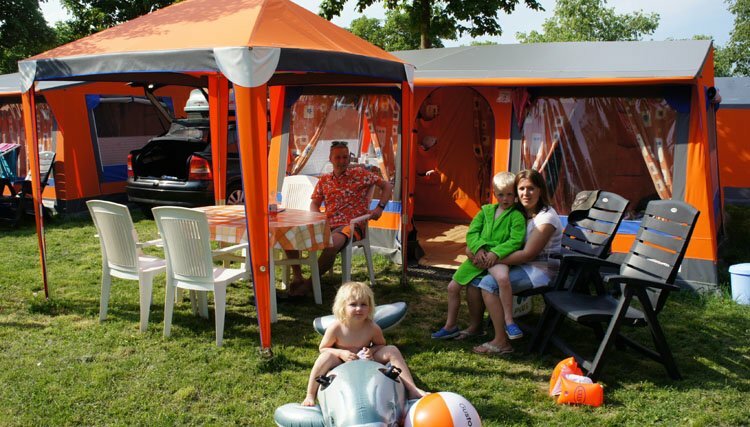 "this is for us luxury camping….wonderful! Vanaf Ab From Da €27,- p.n. 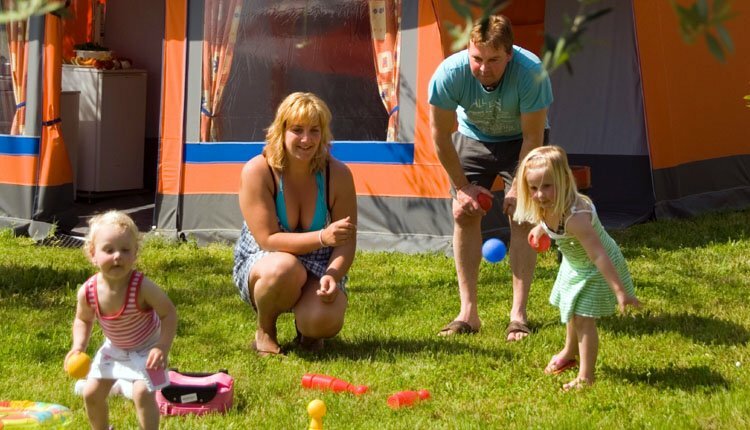 Our luxury tents are wider (5.2m), deeper (5.2m) and higher (2.5m) than ever before, offering ample space for all the family including the "tall" ones! All of our tents are made to a very high standard and are complete with garden furniture set and parasol, plus everything you need for cooking and eating including a barbeque where permitted. 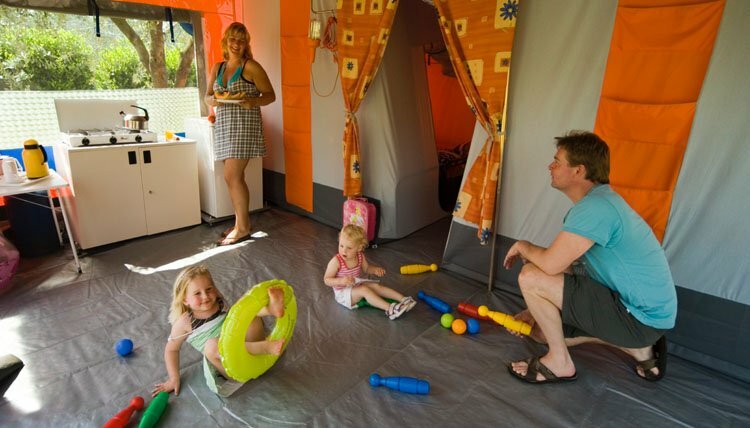 The tents come with gas hob, fridge and "real" beds and mattresses! 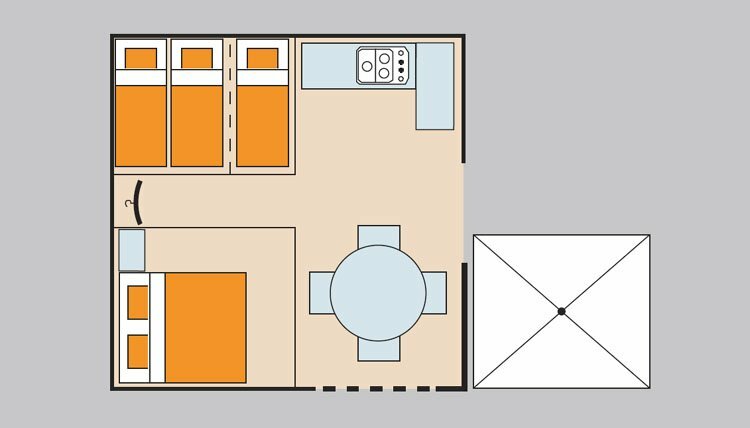 In the tent there is a fully equipped living-kitchen-dining area which opens to the outdoors and comes with gas hob, fridge and a handy kitchen table. The kitchen has cupboards, ideal to store all of your holiday snacks and treats! Indoor AND Outdoor electric light, power sockets and water carrier are provided. In the tent there is plenty of hanging space with coat hangers. 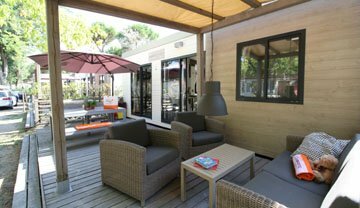 Table and chairs can be moved in and out and there is even a set of reclining chairs! Outside there is a gazebo and laundry rack. 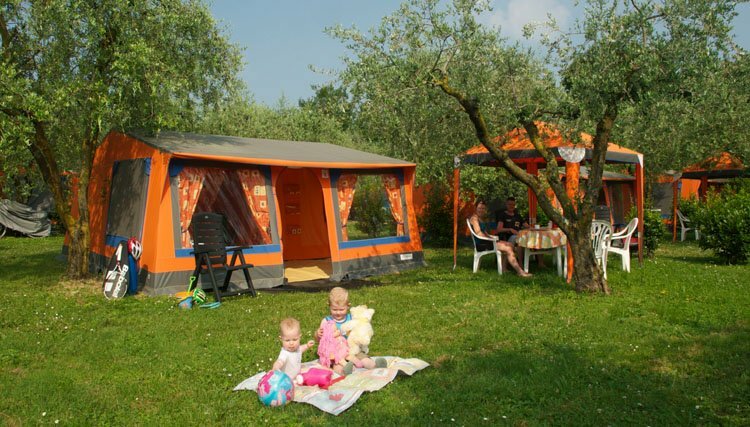 Our tents sleep 6 persons and have two bedrooms; one with the double bed for mum and dad and another for the kids. Both bedrooms have a roll-down wall to divide them if you want that extra bit of privacy! 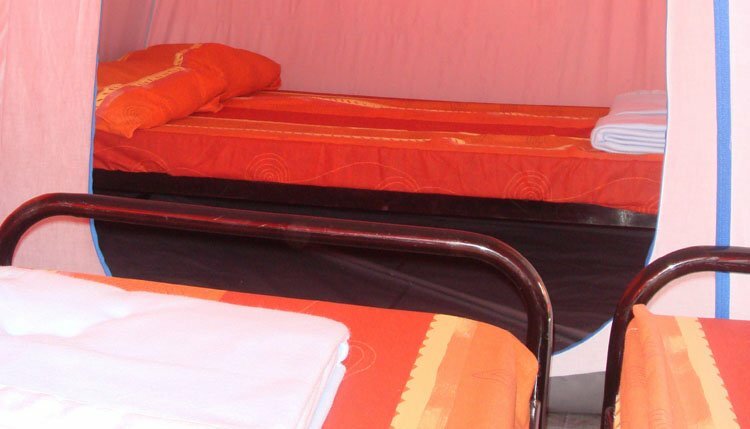 All of our tents have pillows and blankets, so all you need to bring is sheets, towels and pillowcases. 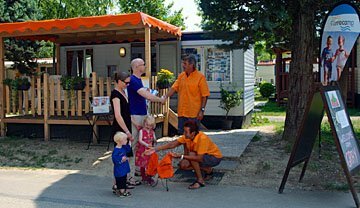 We do have a bed linen and towel hire service on all of your campsites. 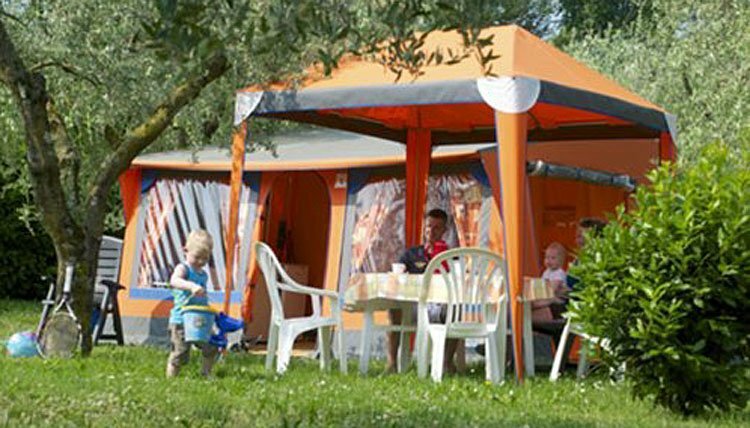 The outside area of the tent is equipped with garden furniture, a gaezbo, a laundry rack and a BBQ. Comfortable 'real' beds and mattresses!